Simplicity at its best look with this very elegant pair of earrings. 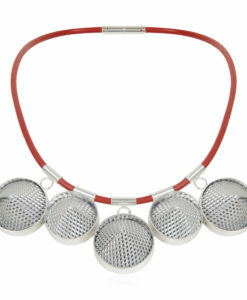 The overall effect is that of easy sophistication, enhanced by the soft white and silver colour scheme and the roundness of the shiny gemstone beads delicately framed in aluminium squares. A wardrobe staple for a day to night look, and from summer to winter. 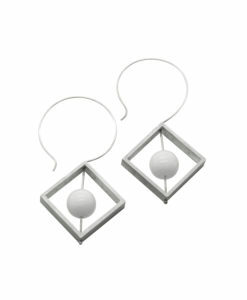 One-of-a-kind abacus earrings for a falsely demure look. A very modern interpretation of the ancestral counting frame with sleek lines and soft undertones. The look is clean and polished, yet full of personality. 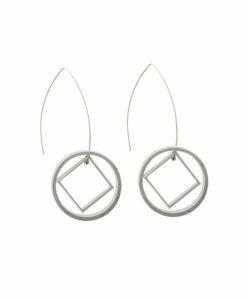 Incredibly versatile, they will make you look smart and trendy on any occasion. They are every woman’s dream to wear. 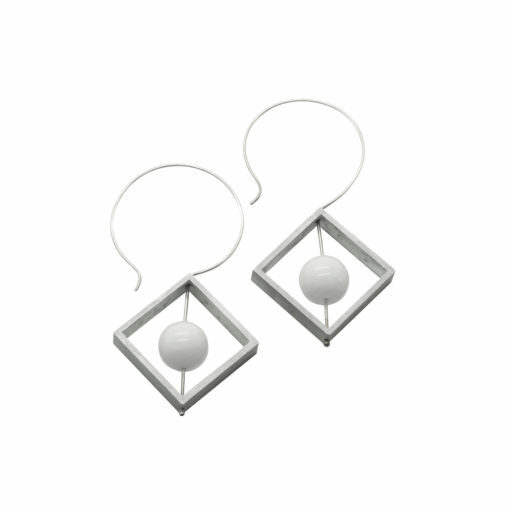 Cleverly designed in aluminium on sterling silver hooks for maximum comfort, these earrings are so light you will even forget you are wearing them ! 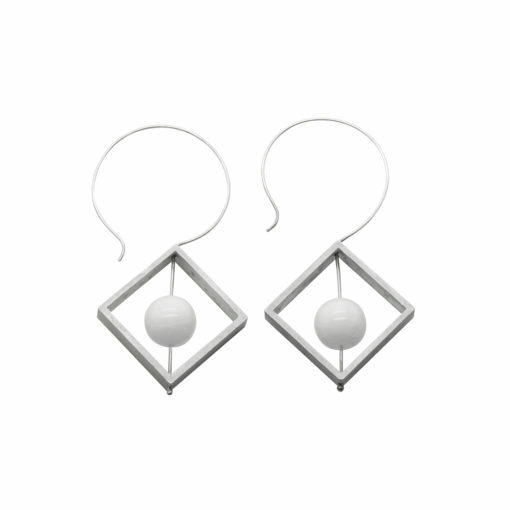 Mixing non-precious metal with semi-precious stones and precious metal is quite a daring combination but these beautifully contrasting materials help making this pair of earrings really stand out. The aluminium’s soft metallic sheen beautifully frames the white jade beads, making them the earrings’ focal point. 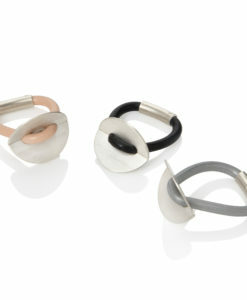 Perfect for daywear or evening wear, they also make a very desirable gift to anyone with a discerning taste. 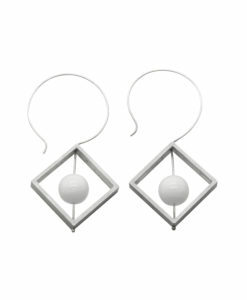 Part of our Graphic Collection, these dangling earrings will make a beautiful matching set with our graphic ring, also available online. 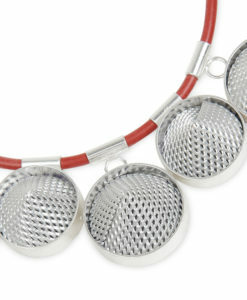 Aluminium, sterling silver and genuine white jade.